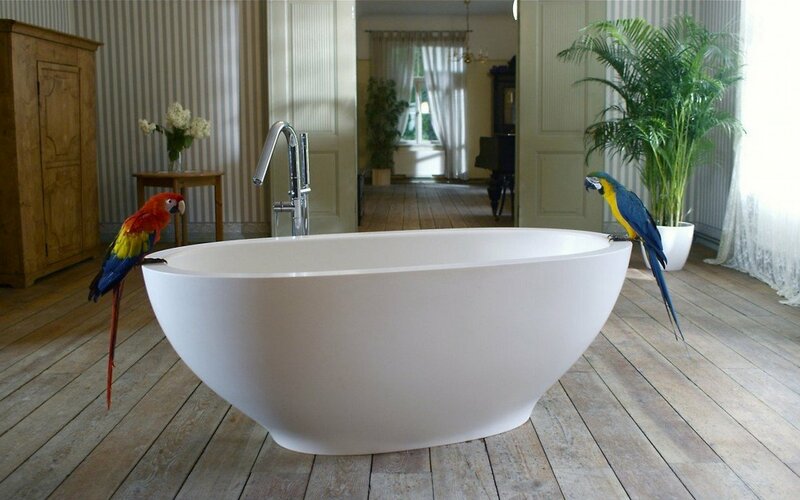 The unique style and design of this oval, stone sculpted, freestanding tub is a pure reflection of luxury. Its high-end and solid matte surface construction also features a usefully sturdy and wide rim. Crafted by using our in-house, innovative composite material, AquateX™, its surface is non-porous and highly resistant to impacts and scratches. The Karolina, one of Aquatica’s larger designs, is a deep and doubled-ended tub, with ample space for one or two bathers, perfect for full-body soaks. The ergonomic shape forms to fit the human body and provides ultimate comfort. 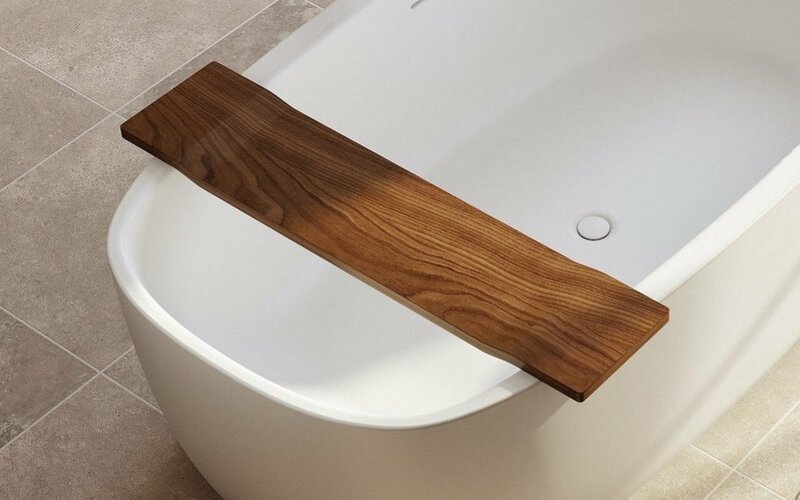 This tub rivals the nicest Kohler tubs available in terms of its silhouette. It looks quite dramatic. It works for my 6'3" husband who weighs well over 200 pounds. 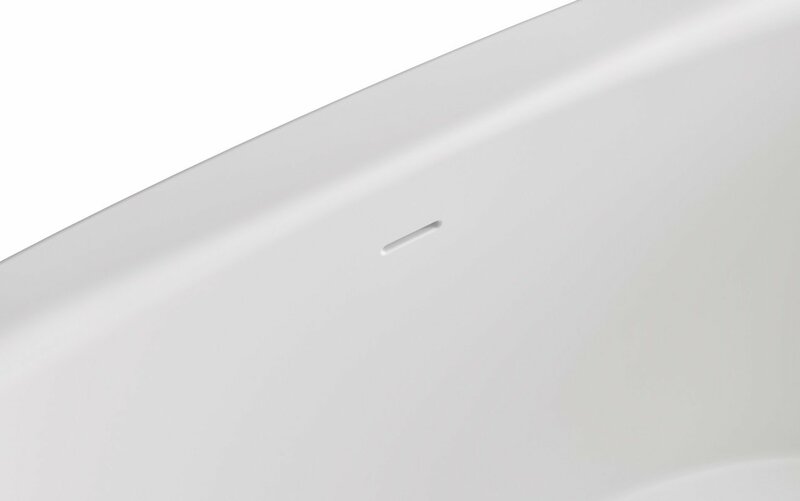 The surface is not shiny ... rather matte and pretty. The only reason I am not rating it a 5 star is the drainage tends to be complex to use. We have already had to replace the drain and they are pricey.